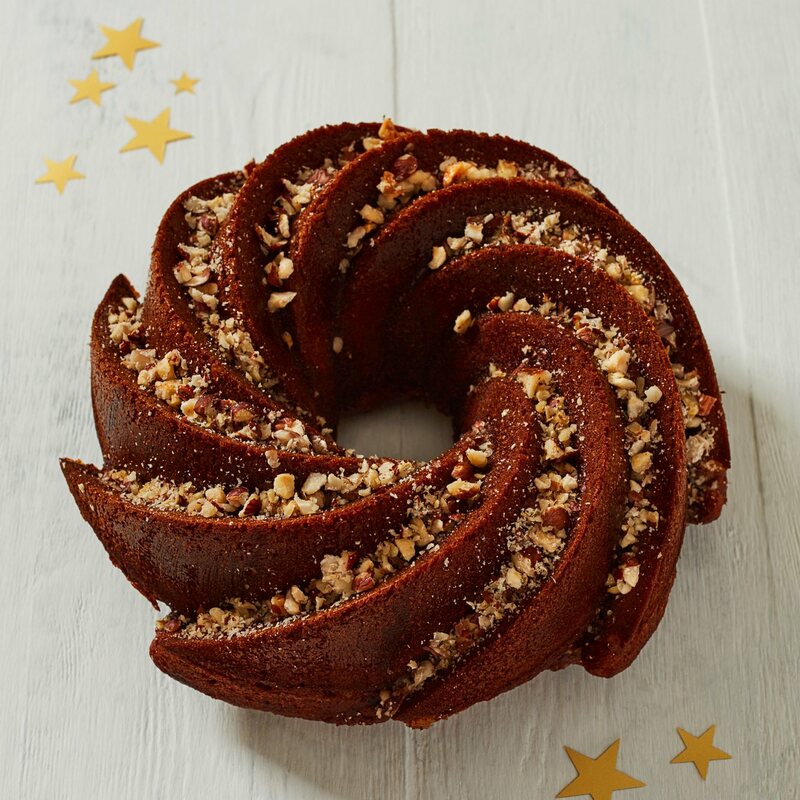 Nothing says fall like a cozy spiced bundt cake, perfumed with warming spices and drizzled with an irresistible honey and hazelnut topping. Made freshly to order and dispatched to you on next day delivery. Please allow 3 days notice for orders. Shelf life: 15 days. Select delivery timeframe at checkout.